Episode 8 ("Crimes and Meg's Demeanor") is identical in terms of running time and differs only at one point rather unspectacularly. You still don't like to see the evil middle finger on US broadcast and so it was blurred respectively will also be made unrecognizable on German television later thanks to the usually adopted TV broadcast master. 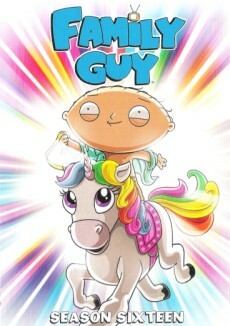 Note: There are no deviations in Episode 7 ("Petey IV") between TV- and DVD-Version. 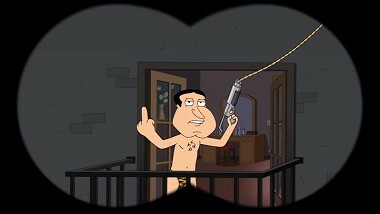 When Quagmire is flying away pointing out his middle finger, the finger was blurred during the two following animations.